If you don’t have health insurance through your employer, you know firsthand how expensive insurance can be. For those who don’t qualify for a government subsidy to help cover the costs, there’s a good chance you’re struggling to pay the costs as premiums continue to rise. The Tax Cuts and Jobs Act of 2017 repealed the individual mandate that taxed individuals for not having insurance. This means that in 2019, you will no longer have to pay a fee for not having insurance. Keep in mind that you will still have to pay for 2018. Not having insurance can be just as costly as having it. But wait! There’s an alternative health care coverage that won’t break the bank: Healthcare sharing plans offered by health care sharing ministries. Health care sharing ministries have been around for more than two decades! These non-profit organizations aren’t new, but they have been gaining popularity in recent years for several reasons. Reason number one: people are fed up with paying high premiums for subpar insurance. As of this year (2018), more than one million people have signed up for health share plans. 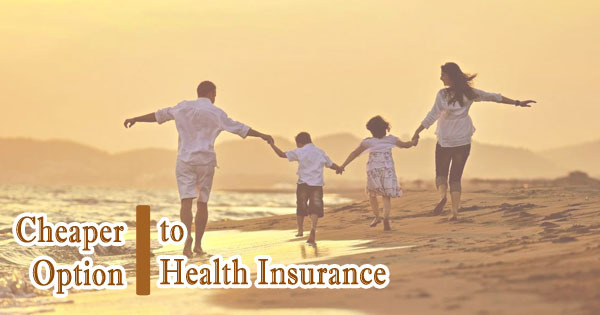 Healthcare sharing plans are significantly more affordable! Often, members pay half of what they used to pay with traditional insurance. Right about now, you’re probably thinking it’s too good to be true, but it’s true! Healthcare sharing plans keep costs low due to several factors. One, healthcare sharing plans are not insurance. Two, preventative care often isn’t covered depending on the ministry and plan; the same goes for pre-existing conditions. Three, ministries aren’t required to pay for medical expenses—but most of them pay 100% of costs once the annual sharing amount (deductible) is met. Health care sharing plans are a great alternative to traditional insurance that’s more personal, often Christian-based so member share a similar belief system, and offers more autonomy and choices. If you’re looking to save money while getting quality health care coverage, consider switching to a health care sharing plan.